Yep, a Gal Gun English version is actually, officially, confirmed for a 2016 release in North America & Europe. It’s really happening. The game we haven’t been able to stop writing about since Rice started. 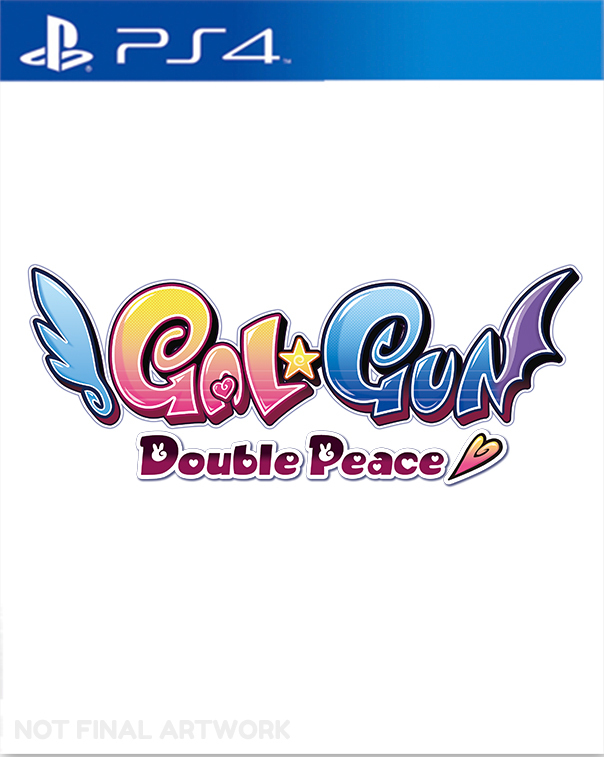 Now Inti Creates have teamed up with PQube to bring Gal Gun Double Peace over on PlayStation 4 & PlayStation Vita. 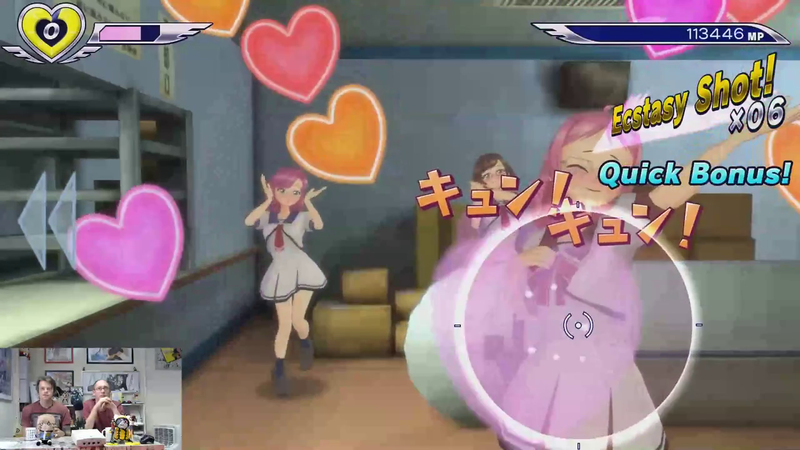 Gal Gun Double Peace is a railgun shooter that does away with zombies or groups of mercenaries. Instead, trek your way through a bright and colourful academy, fending off your fellow female students! Why? Because they all want a piece of you. You’ve been struck by a cupid angel and have become irresistible to everyone. We’ve already played the Japanese version quite a lot (as you can see above!) and it’s just a tonne of fun, and much more addictive than you might think. There’s also a huge amount of replayability with score attacks, collectibles, and alternate endings. 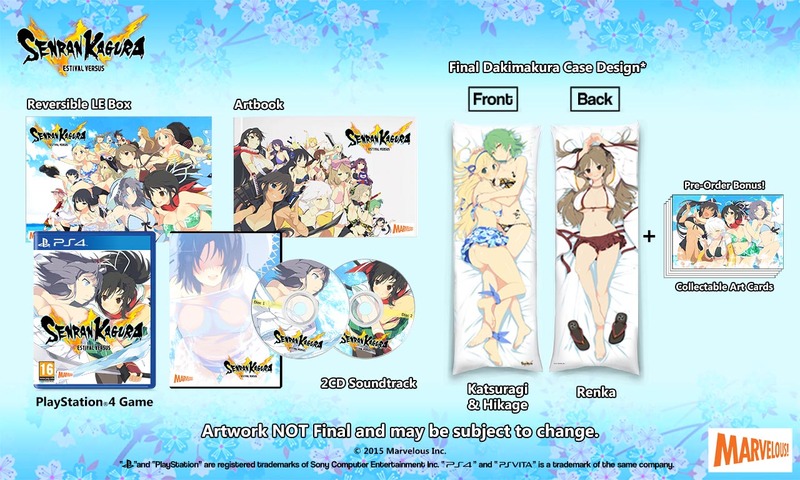 Naturally we’re super excited for a Gal Gun English version. There just aren’t many railgun shooters out there, and this is one with a pretty unique twist! To say ‘by popular demand’ would be a MASSIVE understatement! 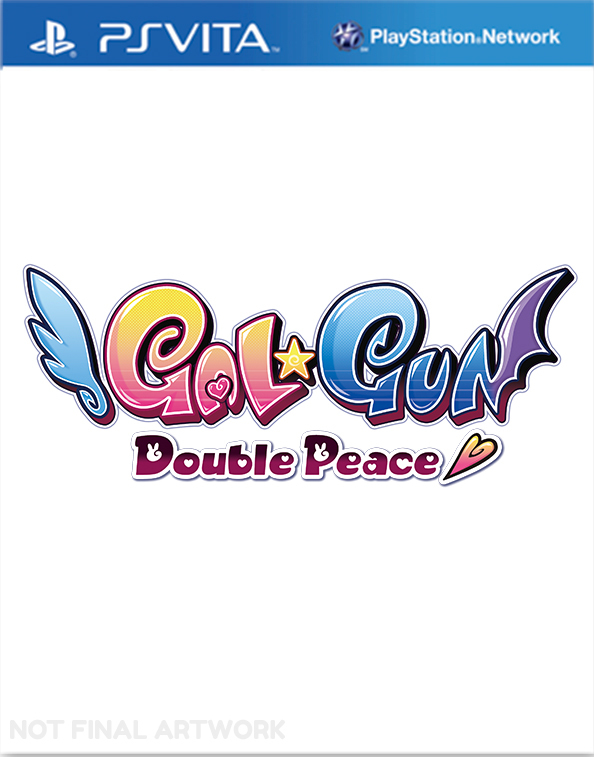 PQube and Inti Creates are not just pleased, but ECSTATIC to announce that hyper-moé shooter Gal*Gun: Double Peace will be assaulting your senses on PlayStation 4 and PlayStation Vita in both Europe and North America in 2016. When Hodai, the portrait of an uninteresting normal student, is shot by a cupid angel named Ekoro, he becomes immensely popular – in the blink of an eye every girl at the academy becomes insanely hot for him. – Gorgeous anime-styled rail-shooter action. Use your targeting cursor to fend off the advancing girls! – Story Mode: Play through the story and see if you can successfully confess your feelings to the girl of your dreams. – Score Attack: Play specific levels to achieve the highest scores. – Collection: Take a look at your achievements, image gallery and information on all the lovely ladies at the Academy! – Choose your own love interest. Your choices will change the story and the path you take throughout the game. – Doki-Doki Mode: This is for when it’s time to break out the big guns! Turn the girls’ happiness up to 11 with this heart-throbbing technique as you aim for the coveted ‘Double Peace’v result! Their outpouring of love even has a ‘bomb’ effect which clears the screen of oncoming girls! – Closet: Change what the girls are wearing in-game. Different outfits and costumes can be applied to various characters as you see fit. New costume DLC can be also be purchased. – There are 450 underwear designs to discover! 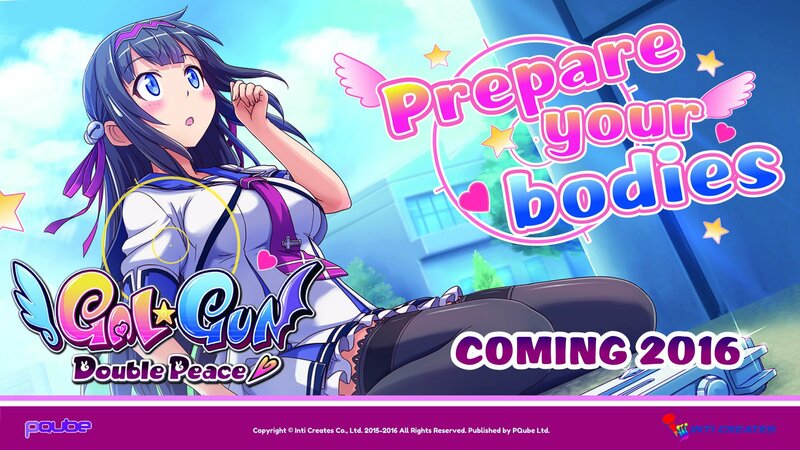 Inti Creates announced a while ago that they were actively looking for a publisher for a Gal Gun English version, and now it’s been announced that PQube will be handling the release of Gal Gun Double Peace in the west. PQube have recently released Steins;Gate and BlazBlue Chronophantasma Extend in 2015. You can pre-order Gal Gun Double Peace right now from the Rice Digital Store for the PS4 and PS Vita.